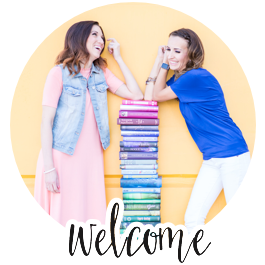 Delicious Reads: Readers Gonna Read + Discount Code! Readers Gonna Read + Discount Code! You never know where one seemingly small decision can take you in life. When I entered Cents of Styles "Design the Good" contest, I never expected any outcome other than possibly placing in the top 10 designs. Fast forward 5 months and my READERS GONNA READ shirt has consistently been selling out and now comes in sizes 6 months to size XXL. I STILL cannot believe the amazing support I've received from friends, readers, and followers buying my design so THANK YOU! 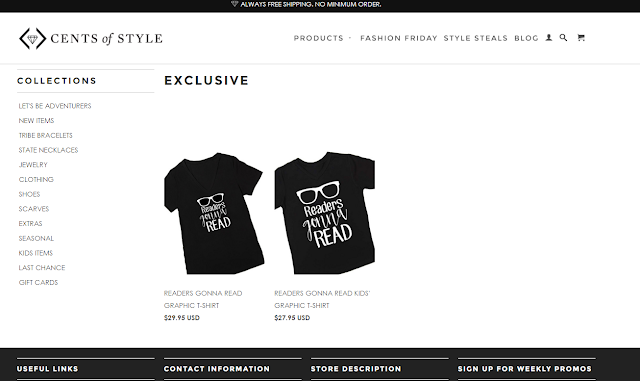 To celebrate Readers Reading, Cents of Style and I are offering an exclusive discount on my t-shirt that will make the kid's tee $14.95 (normally $27.95) and the women's tee $16.95 (normally $29.95)! And the best part is, whenever you order anything with Cents of Style, you receive FREE SHIPPING or any order so that's the same deal you'd get if you ordered this shirt of Jane.com with shipping! 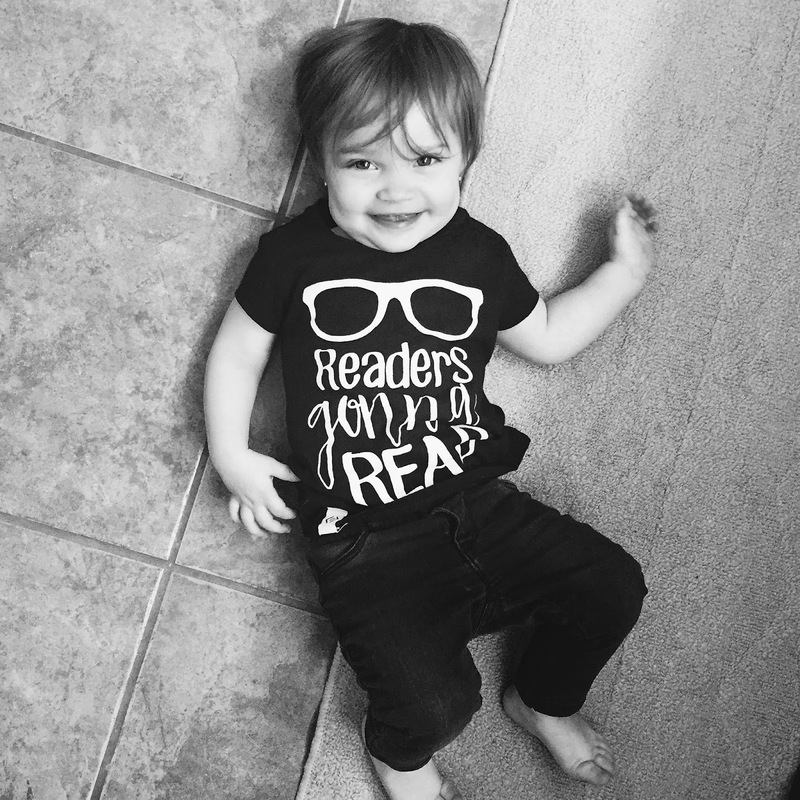 Make sure to head over to Cents of style THIS WEEK to get this exclusive deal for yourself, for your little bookworms or for the mom's in your life for Mother's Day! Type in the code: READERS at checkout for the discount! 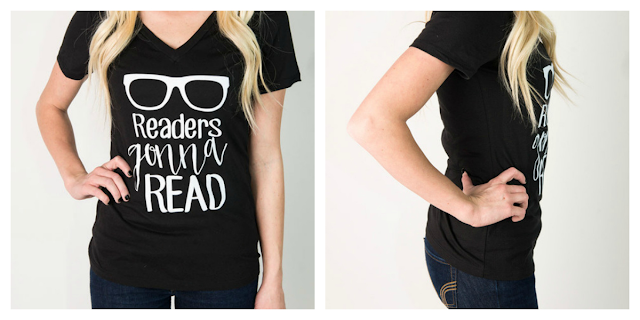 Don't my little bookworms look so cute in their shirts? Head to Cents of Style to order your shirt and type in the code: READERS at checkout to receive the discount! *This exclusive deal starts Monday April 25th and ends Sunday May 1st. I love these and I love how cute your mom and kids look in it too! So cute! It said boyfriend style - does that mean looser?